Revelations shed light on hundreds of medical emergencies resulting from perilous conditions at Amazon’s factories in the United Kingdom. One of Britain's largest trade unions, GMB, using disclosures resulting from Freedom of Information Requests has revealed the conditions inflicted upon workers employed by US-based tech-giant Amazon. Among the revelations reported in the British business press are that ambulance services were called a total of 600 times over three years to the company's premises in response to serious health emergencies. At least 14 of the medical emergencies related to employees suffering from breathing problems, with others involving workers suffering electrocution and complications pertaining to pregnancy. "Amazon should be absolutely ashamed of themselves. Hundreds of ambulance call outs, pregnant women telling us they are forced to stand for ten hours a day, pick, stow, stretch and bend, pull heavy carts and walk miles — even miscarriages and pregnancy issues at work," GMB Press officer Mick Rix said in a statement to the British media. Amazon has consistently come under criticism for the conditions of its employees around the world, however the revelations of working conditions in Britain are among the first insight into the corporation's employment practices in a first-world country. Amazon later commented on the issue in its statement: "It’s simply not correct to suggest that we have unsafe working conditions based on this data or on unsubstantiated anecdotes. Requests for ambulance services at our fulfillment centers are predominantly associated with personal health events and are not work related. 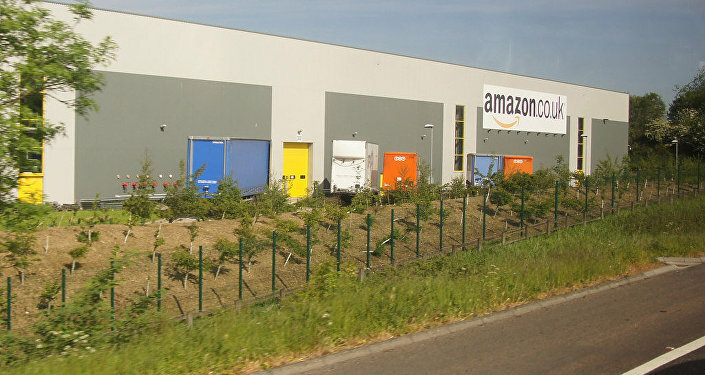 Nevertheless, ambulance visits at our UK FCs last year was 0.00001 per worked hour, which is dramatically low, and according to the Health and Safety Executive RIDDOR, Amazon has 43% fewer injuries on average than other companies conducting transportation and warehousing activities in the UK. We encourage anyone to come take a tour of our fulfilment centres so they can see for themselves".